The Samoa Touch Rugby Incorporated hosted its 2 day Opens Touch Championships on the 14th and 21st July 2018 at the St. Joseph’s College grounds, Alafua. The tournament covered two divisions with 13 teams vying for the Open Men’s title and 6 teams competing in the Open Women’s division. This tournament aims to build up to STRI’s annual National Elite Touch Championship which will be held on the 31st August – 1st September and will also be the starting point for selection for national squads leading up to the Touch World Cup and Pacific Games in 2019. After a series of pool games, the first semi-final for the Open Men’s Division saw Marist Saintz take on Glee for a spot in the final. The thrilling semi-final was neck and neck, going into drop off after full time with Marist Saintz overcoming Glee and winning 5-4. 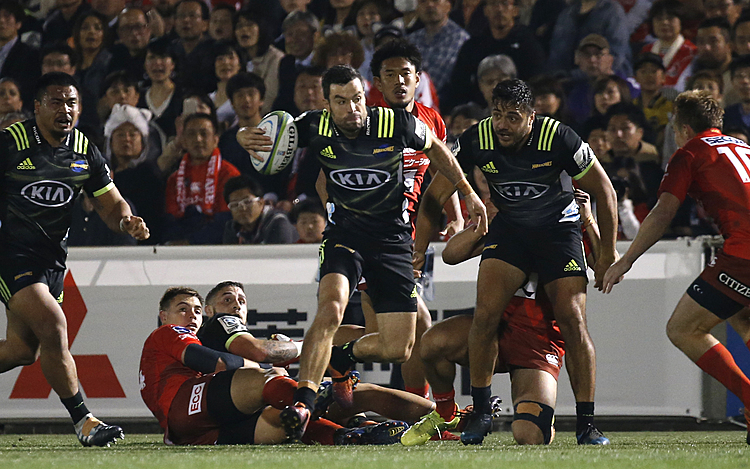 The Open Men’s second semi-final was between Meitaki and Bladerunners, another nail-biting match which saw Meitaki claim their spot winning 5-4. In the Women’s division Titan’s faced off with Bladerunners in the first semi-final with the Titans ending the match with a convincing win 7-3. The last spot in the Open Women’s final was contested between No Idea and Marist Legends, with No Idea walking away victorious winning 5-3. The final events for the tournament were the Men’s and Women’s final – both matches displayed awesome skills and great speed from all players. 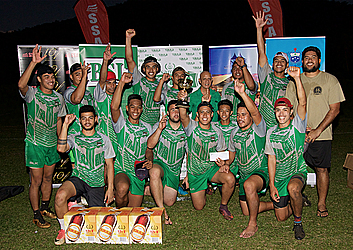 Marist Saintz claimed the Open Men’s title over Meitaki 3-1 while No Idea was crowned the Open Women’s champions overcoming a strong Titan’s team 4-2. During the prizegiving, the awards were presented by Julia Meredith (Bluesky Representative) Gloria Takazawa (Samoa Stationery Books and Limited) Representative) and Nigel Stowers (Business Systems Limited Representative). STRI would like to thank all participating teams as well as Samoa Red Cross for their services and Br. Iulio Suaesi, Principal Susitina Levao and Asolelei Tolovae of St Joseph’s College for their support and hosting our tournament at the SJC grounds at Alafua. Associate Sponsors – Business Systems Limited, Bluesky Samoa, Samoa Stationery and Books, ACE Hardware and Happy Kids.